Something amazing that I've recently discovered and few people know about. 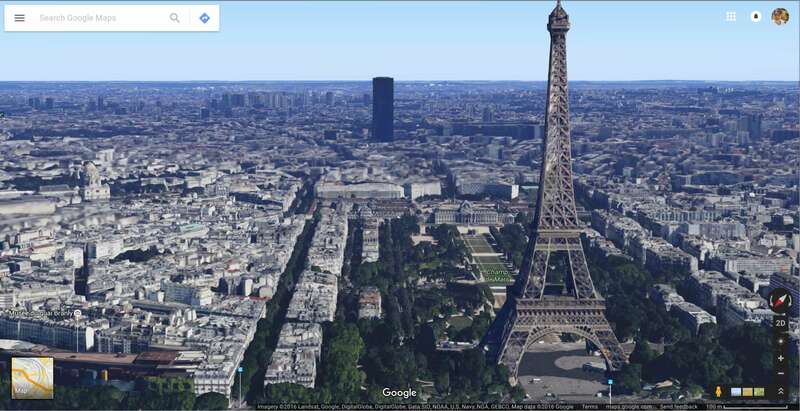 Most popular cities around the world are now completely in 3D in Google Maps. What you have to do is open up the Earth view, zoom in, hold shift and click and drag. This started back in 2009 when Google placed a few buildings here and there that were modelled by hand in SketchUp. In 2012 they started doing the same process but completely automated, with just 21 cities in 4 countires. As of last year, they now have 300.000 km² covered in 3D.